The answer to your application is sent on 26 July. Read more about the answer to your application at Answer and Statistics. Please read these webpages thoroughly. Contact us if you still have questions. If you fulfil all the entry requirements for the programme(s) applied for and have complied with the rules and deadlines for admission, your application will move on to the next phase in the admissions round: the selection process. The selection process sorts applications into a ranking list. Study places are then filled up from the top down of this list until all the places are filled. Further information concerning application and documentation deadlines can be found in Apply. There is no special way to indicate in your application at Optagelse.dk that you wish to apply in Quota 1. All qualified applicants who apply within the given deadlines above will be automatically assessed in Quota 1. As there are a limited number of study spots for each of the programmes at CBS, all qualified applicants in Quota 1 are ranked according to their GPA (with Quick Bonus if applicable) and in accordance with their application priorities if applying for more than one programme. The study spots allocated in Quota 1 are then filled according to this ranking. We do not know the minimum GPA required to guarantee a spot through Quota 1 until the end of July. By checking statistics from previous years, it is possible to see trends and get an idea but remember that this process is determined by the GPA’s of the qualified applicants. If you do not have one of the international exams mentioned in the Quick Bonus table, your GPA cannot be converted into the Danish grading system and you will not be assessed in Quota 1. It is not possible to improve a GPA. Once an upper secondary exam has been completed and a GPA has been calculated, it is fixed with regards to the admission process to CBS. If you have completed two upper secondary exams or re-taken your upper secondary exam to improve your grades, the GPA dated first will be used. The Quick Bonus is given to applicants with a qualifying GPA that have applied within two years of finishing their upper secondary school. In some circumstances, there are conditions applied. These are listed in the table below. Applicants who qualify for the Quick Bonus have their GPA multiplied by 1.08. For international applicants whose GPA can be converted, the Quick Bonus is added after the GPA has been converted to the Danish grading system. If you have been unable to start a higher education programme within two years due to military service, maternity leave, long-term serious illness or the like, we may extend the two-year deadline. If this is the case for you, you are to upload documentation for why you wish to have the two-year deadline extended. The table below lists the international upper secondary exams that fulfil the requirements for the Quick Bonus in the table below. For some international upper secondary school exams, there are special conditions. If you do not have one of the international exams mentioned below, your GPA cannot be converted into the Danish grading system and you are, therefore, unable to get the Quick Bonus. NB. As of 2020, the Quick Bonus will no longer be part of the Quota 1 selection process in accordance with the coming Rules and Regulations governing bachelor admission in Denmark. Keskkooli Loputunnistus/ Gümnaasiumi Loputunnistus + Riigieksamenitunnistus Given – based on the date of Gümnaasiumi Lõputunnistus. The date of Riigieksamenitunnistus (State examination certificate/additional documentation for improved grades in the Riigieksamenitunnistus is NOT used. Given - if the diploma is not a retake. Atestâts par vispârējo vidējo izglîtîbu Given – based on the date of Atestâts par vispârējo vidējo izglîtîbu. The date of the State Examination Certificate (Izglîtîbas satura un eksaminâcijas centra sertifikâts) is NOT used. Given – based on the date of the Brandos Atestatos. Any supplements are NOT used. Given - unless the diploma is issued in September. Given - if "Vitnemål" is NOT improved. Given – based on the date (year) of Swiadectwo Ukonczenia. The date / year of the diploma of the State Examination Certificate / additional documentation are NOT used. Given – if Higher/Advanced Higher Level courses are completed within 2 years. Given - unless it is a "samlet betygsdokument". Extra-curricular activities such as employment, extended periods abroad, residential periods at a Folk High School etc. Motivational essay for certain programmes and applicants. Please see 'Motivational Essay' below for more details. As this is an overall assessment, it is impossible to put precise figures on the concrete assessment, instead an overall picture of the application, and therefore the applicant's background, is built up on the documentation provided. Read more about which extra-curricular activities can be included in Quota 2 in the sections below. extra-curricular activities can only be documented once they have been completed. You cannot document future activities. We do not use future activities planned after the 5 July deadline in the Quota 2 assessment. Maximum of 12 month blocks. A month block is achieved only for working minimum 30 hours per week for 30 consecutive days. No differentiation is made between different types of work experience. Voluntary work, military service and maternity / paternity leave are also included under the category of work experience. Wage slips are also accepted as a form of documentation for employment. We need to be able to see the hours worked per week clearly in your wage slip and the dates of the duration of your work from start to finish. An employment contract is NOT valid documentation. Minimum of 1 month block. A month block is achieved by travelling abroad for 30 consecutive days. Maximum of 6 month blocks. Travel plans/bookings and bank statements are NOT accepted as proof of travel abroad. Further education is defined as continuation from upper secondary school level and is thus at a higher. We do not use any form of education that is at a lower level than this. In blocks of 5 ECTS-points (equal to 1 month of full-time education). If your grade transcript uses a different system of credits other than ECTS-points, we will calculate the conversion for you. A maximum of 60 ECTS-points (equating to 12 month blocks). You must have resided at the folk high school. A minimum of 1 month in length. One month equals 30 days. A maximum of 6 months in total. You cannot double up your residency with work experience or further education. You can, however, double up your residency if you have been to a folk high school abroad. Diploma for completed stay and the period. Travel abroad and residency at a folk high school. These blocks can only be doubled up with travel abroad if both activities have been done at the same time. You can double up for a minimum one month and a maximum of 6 months. Only GPA’s that can be converted to the Danish grading system count towards the overall assessment in Quota 2. You can check which GPA’s can be converted by checking the Quick Bonus table above. Your grades for the specific entry requirements are also part of the overall assessment in Quota 2. Unlike the GPA (see above), it is possible to re-take exams in the specific entry requirements and improve your grades. When processing your application, if you fulfil a specific entry requirement in more than one way, we will always choose the exam will the highest grade as part of the overall Quota 2 assessment. This section is for those with an upper secondary school exam that has been done outside of the EU, EEA and Switzerland and for those with certain EU upper secondary exams (where we cannot convert your GPA to the Danish grading system). For upper secondary school exams that have been done outside of the EU, EEA and Switzerland and for certain EU upper secondary exams, we cannot directly convert the grades to the Danish grading system. If you have documents that are not in English, Danish, Swedish, Norwegian, French or German, then you must upload a translation as well as a scan of the originals. Documents that are not in one of the above languages will not be assessed as part of your application. This section is for those who have not completed a full upper secondary exam (but have passed minimum 6 exams at A, B or C level instead) and for those whose upper secondary exam is not equivalent to a Danish upper secondary exam (for example, a Waldorf education / Rudolf Steiner School). You have not completed an upper secondary school exam, but are able to apply on the basis of other relevant experience or education. You have completed an upper secondary school exam that is not equivalent to a Danish upper secondary exam, e.g. you have received a Waldorf education (Rudolf Steiner School). Dispensee applications are processed in Quota 2 and must adhere to the rules and deadlines for Quota 2. Please be aware that very few places at CBS are allocated to dispensee applicants and the selection process can be very tough. For this reason, we strongly advise all dispensee applicants to upload a Motivational Essay for all of their applications to CBS (regardless of programme). 2-3 extra subjects at upper secondary school level (A, B or C) so that overall you have passed exams in at least 6 subjects at upper secondary school level. The 6 subjects altogether are being used as alternative fulfilment of the general entry requirement. Relevant extra-curricular activities: periods abroad, work experience, further education etc. Please see ‘Activities in Quota 2’ above. Motivational essay: Please see ’Motivational Essay’ above for inspiration on the content. 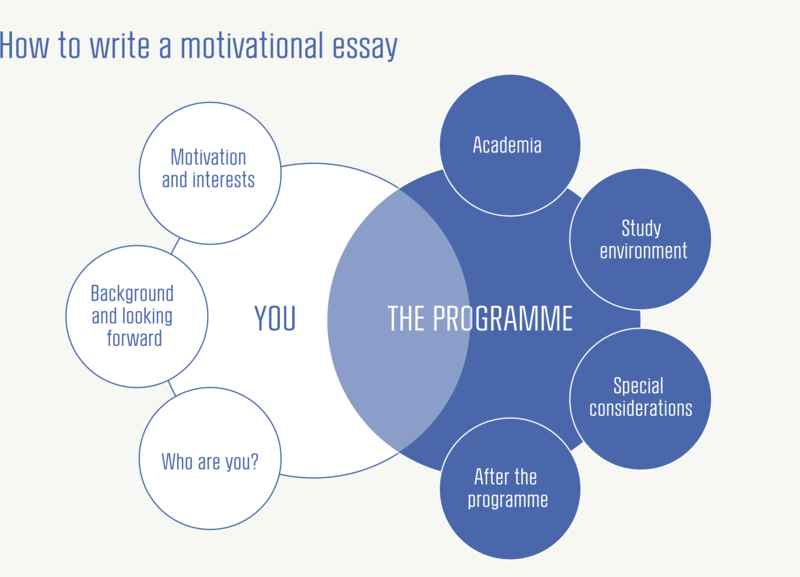 You should write a motivational essay for each programme in your application. For certain programmes and certain applicants a motivational essay is a part of the overall assessment. We expect you to have written your motivational essay(s) yourself. A list of the programmes which take the motivational essay into account can be seen below. Your motivational essay(s) must be uploaded to your application in Optagelse.dk by the application deadline of 15 March 12 noon. Please note that the motivational essay is not included as part of the overall assessment of applications to any bachelor programmes not mentioned on the list above. Should you upload a motivational essay where it is not required, it will not be included in the overall assessment of your application. The motivational essay should fill no more than two sides of A4. If you are applying for a programme taught in Danish, your motivational essay must be written in Danish. If you are applying for a programme taught in English, your motivational essay must be written in English. You must write your motivational essay(s) yourself. This not only helps us to get a better impression of your personal side, it also helps you to think carefully through your programme choices in your application. Your contribution: What can you contribute to the programme on the basis of your background and experience and what will you get out of the study environment of the programme? Your motivation: Why do you wish to study the programme? Your career plans: What are your future plans and how will the programme help you to achieve your goals? Remember to be concrete and specific when you write your motivational essay. Be personal rather than professional and reflect and show who YOU are, also when with other people. The essay is not about putting on a front or flashing your CV. For applications to programmes that look at the motivational essay, it comprises a large part of the overall assessment in Quota 2. Describe situations where you achieved results together with other people and how you contributed? What are your most important strengths in relation to customer contact and teamwork? Why? This section is for applicants who have completed their upper secondary education outside of the EU/EEA/Switzerland or who are applying as a dispensee. If your educational background is from an EU/EEA country or Switzerland, then please refer to our table of comparisons given under your country in Entry Requirements. A Bachelor Appraisal is only for applicants whose educational background is from outside of the EU/EEA/Switzerland or who are applying as a dispensee. A Bachelor Appraisal will tell you whether or not you fulfil the general and specific entry requirements for one of the bachelor programmes at CBS. When can I apply for an appraisal? You can apply for a bachelor appraisal between 15 October and 15 November. How do I apply for an appraisal? You need to fill out the Appraisal Form and send it by email, along with scans of all necessary documentation, to: bacheloradmission@cbs.dk within the given timeframe. You can expect an answer to your appraisal in January before the application round opens on 1 February. For how long is my appraisal from CBS valid? Your appraisal from CBS is only valid for the next immediate Application Round. For example, if you have applied for an appraisal on 15 November 2018, the answer that you receive in January 2019 would only be valid for the 2019 Application Round. What do I need to be aware of with regards to an appraisal? You are only allowed to apply for an appraisal for one bachelor degree programme. You need to check which documents are required from your country to fulfil the general entry requirement for an upper secondary education. You can check that here. You need to send documentation for the specific entry requirements. Remember to include course descriptions and documentation concerning hours studied for each relevant subject per year during your upper secondary school / university years. You need to translate your documents into English, if they are not already in English (please remember to scan and send documents in the original language as well as the translations though). When you send the email, please write ‘Bachelor Appraisal’ as your subject line. An appraisal is not an application to CBS. 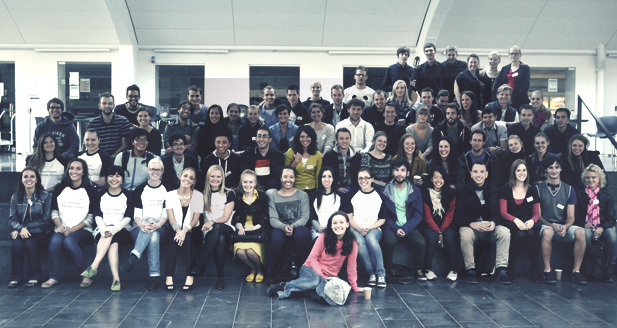 You will still need to apply from scratch via Optagelse.dk once the application round opens on 1 February. When you do apply, please remember to upload your appraisal answer along with all your documentation to your application at Optagelse.dk. This event offers a good introduction to the different bachelor programmes offered at CBS as well more practical information concerning the application process and deadlines. Further information regarding this event can be found here. This event gives an introduction to life as an international student in Denmark as well as the opportunity to network with other potential international students. Further information regarding this event can be found here. The GIF programme is a one year programme that is designed for refugees and immigrants interested in completing a Danish upper secondary exam. This exam can then be used to fulfil the general entry requirement plus potentially some of the specific entry requirements. Applicants to the GIF programme must have completed high school level in their home country plus have a certain level of Danish. Further information can be found here. CBS offers an appraisal round for prospective applicants with a non-EU educational background. CBS assesses the documents sent in the appraisal application and confirms whether or not the qualifications fulfil the entry requirements for a particular programme. The appraisal round deadline is 15 November. If you have missed this deadline but have an official refugee status in Denmark or another Nordic country, please send us an email to discuss your options. Please be aware that the application deadline for bachelor programmes in Denmark is always 15 March, 12 noon and if you miss this deadline, you will not be able to apply until the following year. We cannot accept any applicants who do not fulfil the entry requirements. If you are not able to provide part of the official documentation of your qualifications due to circumstances, you should try to gather as much other information and documents as you are able to, to show your qualifications. We will consider application on a case by case basis and help you to find the best solution. Consider also researching single courses or language tests to document the specific entry requirements.